DAF Euro 6 XF pedal truck - DAF Trucks N.V.
DAF has expanded its range with two special versions of the XF Euro 6: the XF ride on truck and XF pedal truck. Specifically designed for those who dream of having their own DAF but are still a bit too young. 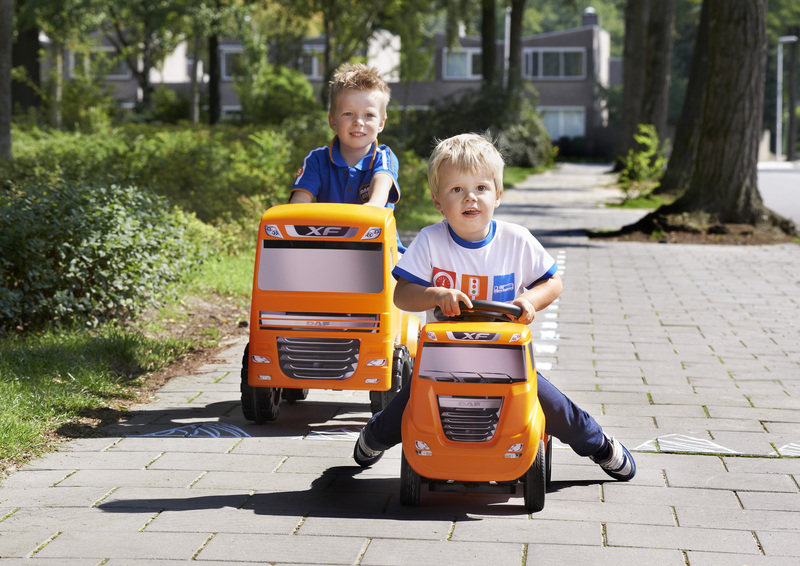 The robust ride on and pedal trucks come in the attractive DAF orange and are available with immediate effect from all DAF dealers or via www.DAFshop.com. Stylish, functional and high quality. These are the characteristics of the new DAF collection, including a large children's collection featuring toys, clothing and cuddly toys.